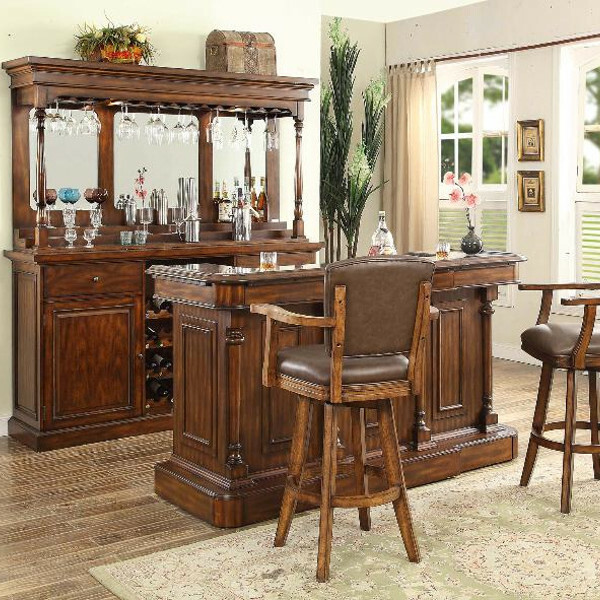 Traditional bar with Granite veneer top. 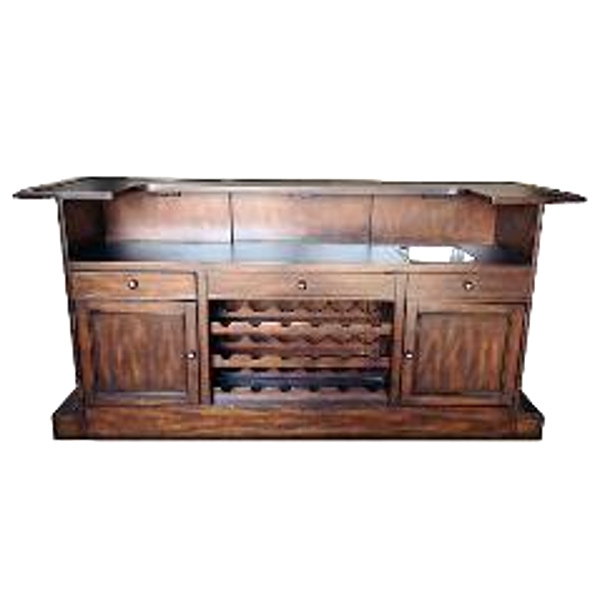 Bar includes full extensions drawers, wine rack, laminate bartending working surface and stainless steel dry sink. Stunning back bar with LED lighting, stemware holder, removable wine rack, full extension drawers and steps for bottle display. 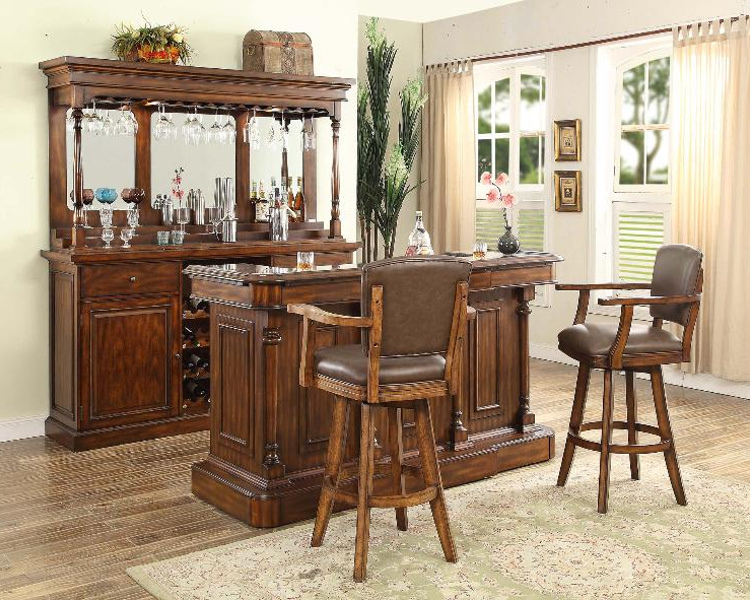 Front Bar - 78" x 29" x 42"
Back Bar Hutch - 78" x 17" x 42"
Back Bar Base - 78" x 20" x 42"
Stool - 26" x 23" x 46"